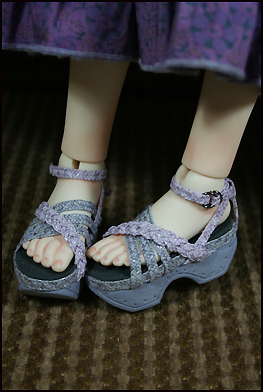 This doll will be for sale Saturday - Sept. 28 at 3 pm EDT. When you receive the email at 3 pm with the title "Tessa for sale" just hit reply and return it to me (no need to write anything in it). 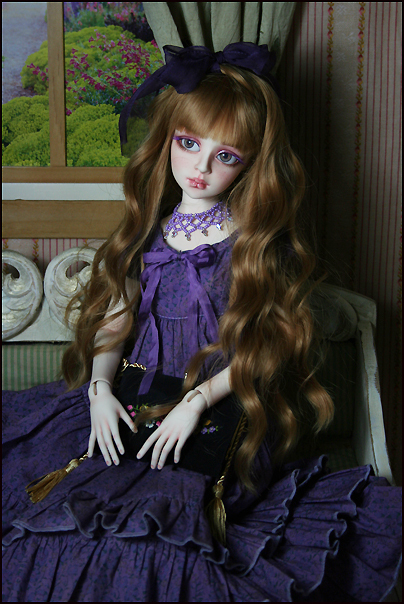 The second one back to me may purchase the doll. 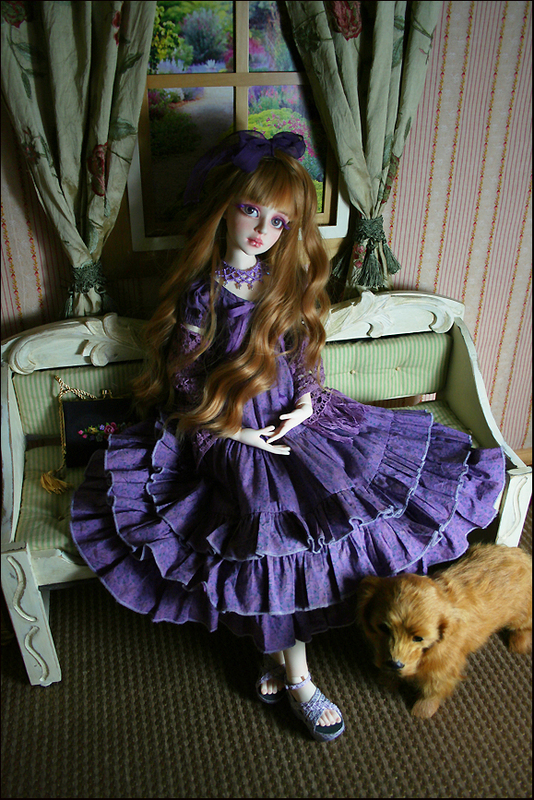 Tessa's dress is cotton with ruffles around the hemline. 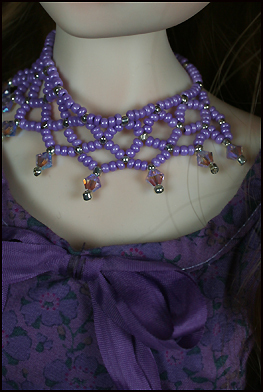 Her necklace is hand made with glass beads and Swarovski crystals. Her shawl is hand crocheted cotton. In her hair she wears a silk chiffon bow. 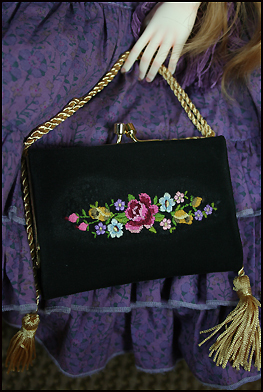 Her hand bag is an altered vintage change purse featuring needle point flowers. This Tessa has a unique feature of little purple feather eyelashes.